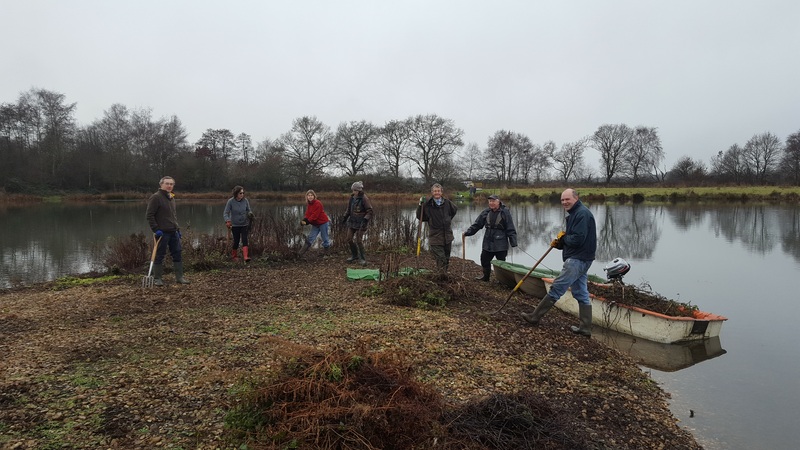 The first 2017 task for the Moor Green Lakes working party was to weed Tern Island. 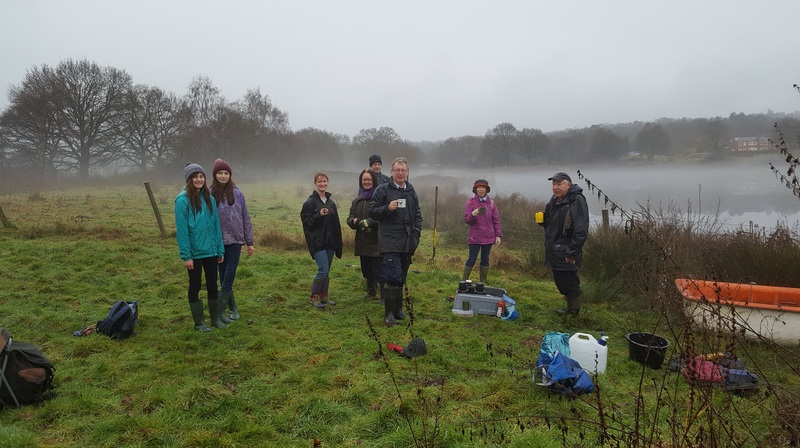 On a misty drizzling morning we were really delighted when 23 volunteers turned up to help, including several families. With these numbers and some minor boating issues we split into two parties with some volunteers clearing willow from alongside Colebrook Lake North and the rest being ferried across to Tern Island. Tern Island consists of a shingle bank with part of the island enclosed by a fence to prevent mink swimming ashore and attacking any nests. 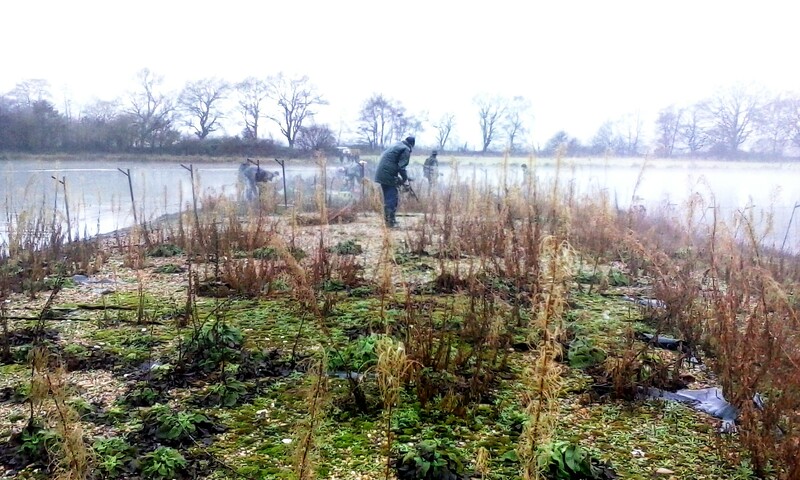 The island has to be cleared of weeds each year to provide the open shingle nest sites and this is usually a challenge for the working party. By tea time both parties were hard at work and piles of cleared weeds started to appear. Roger Murfitt explained that redshanks had nested on the island for the first time in 2016 and that they like a bit of cover. An area within the fence was left uncleared in the hope that they will return this year. This is the first time the working party has ever managed to completely clear Tern Island so many thanks to everyone, in particular those who came for the first time. We hope you enjoyed yourselves and will join us again. 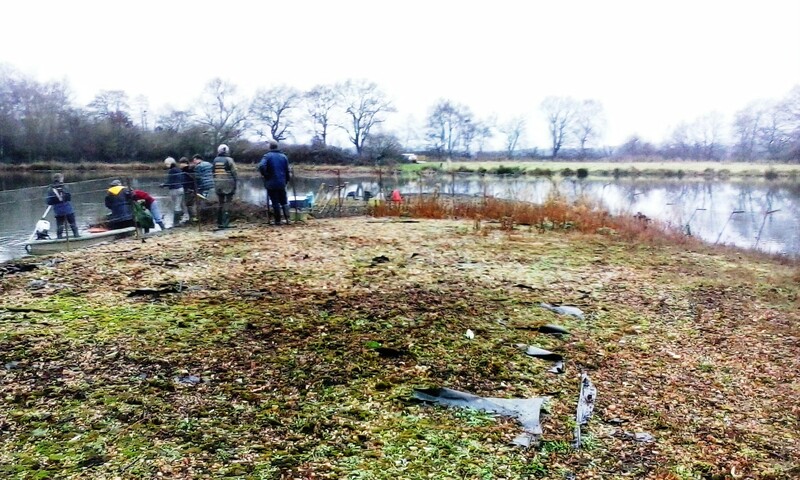 If you’d like to come along and lend a hand, the next Sunday task at Moor Green Lakes will be to clear scrub near Grove hide on the 12th February, meeting at 10:30am in the Lower Sandhurst Road Car Park. This entry was posted in Conservation, Moor Green Lakes, Volunteers, Wildlife and tagged boat, Moor Green Lakes, Volunteers. Bookmark the permalink.